Share with your roommate or make them fend for themselves? These are the questions to ask yourself when you're choosing a dorm fan for your dorm room. 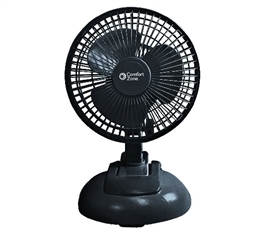 DormCo carries a selection of dorm fans to help make your dorm room cooler. Whether you want a small personal dorm fan or a large dorm fan, you will be able to find something to suit your needs.Most college dorm rooms lack thermostats, which means you won't be able to control the temperature in your college dorm room. Your dorm bedding will keep you warm when it gets too cool, but when it gets warm in your college dorm room, a dorm fan is the way to go. Make sure you have one in your dorm essentials for college! 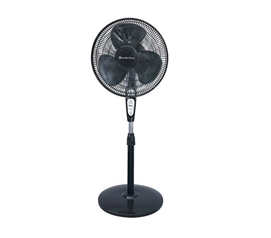 Dorm Fans are among the most popular dorm essentials for college students that know their dorm room lacks air conditioning. 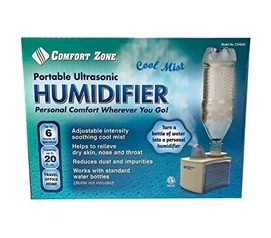 It is this college supplies product that will keep you cool when nothing else will seem to work. Dorm room fans can either be personal mister fans or they of course can be large dorm room style fans. When it comes to choosing a dorm fan you have to ask yourself are you worried about your roommate or do you just fend for yourself. This answer is not obvious because your dorm roommate may prefer the hot temperatures or they may hate the heat just as much as you. Enjoy shopping at our DormCo Dorm Store for all the College Dorm Stuff that you'll need to make your dorm room a comfortable and fun place to live.